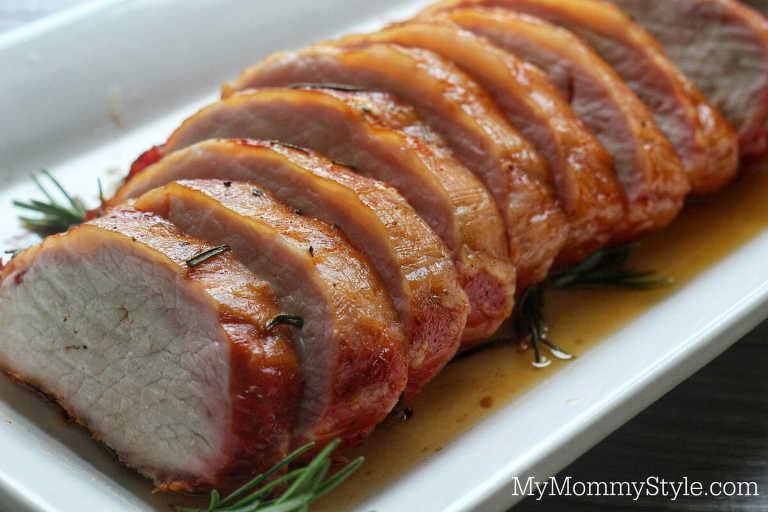 We’ve tried about 10 different smoked pork loin recipes on our Traeger, and we’ve finally found perfection! This smoked pork loin was the perfect mixture of sweet and smoke. I also love how low maintenance this recipe is. You marinade the roast overnight (2 hours minimum if you are pressed for time) throw it in your smoker and wait until it reaches 145 degrees F.
This recipe calls for marinading overnight! Make sure you leave yourself enough time to marinade. If you don’t have overnight, it needs to marinade for a minimum of 2 hours. In a large bowl (large enough to fit your marinade and pork loin), combine apple juice, honey, pork rub, brown sugar, and rosemary. 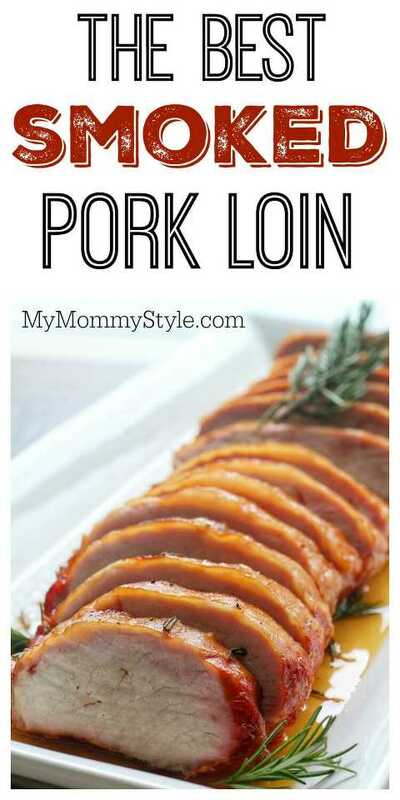 Whisk to combine marinade and add pork loin. Rotate pork loin to ensure entire roast is covered with marinade. Cover bowl with plastic wrap (or pour into large ziploc bag) and place in refrigerator overnight. Set smoker temperature to 225 degrees. Place smoked pork loin directly onto grill and cook until internal temperature reaches 145 degrees Fahrenheit. Keep marinade for moping and injecting. After roasts have been cooking for about an hour mop with marinade. If you have a meat injector, inject roast with marinade about every 2 inches. Once meat has reached an internal temperature of 145 (usually about 2 1/2 to 3 hours) let rest for 10 minutes, slice and enjoy!